sotaynru after noticing the fire had stopped stood up mroe so and knowing that parley would not allow him to be harmed it couldnt be mroe perfect he walked away with the men to a secret place a small little spot where a tent was that sotaynru had had stationed his men did nothing at the wave of his hand. he entered the tent with shurik. Shurik grinned, the feature appearing slowly on his face as he looked over at Ignis. "Ignis... Stand here with my men... If anything happens to me, consider yourself free to maim everyone you see here. They are all part of your homelands bloodshed." He looked to Jak and nodded to him. "Make sure our new friend is accommodated well enough. The unit and Ignis moved back, taking up a defensive position along the side, prepared for a fight if the need arose for them to attack. They didn't want to be here, outnumbered, but the newcomer gave the men some hope of their leaders success and theirs. Jak looked at Ignis and nodded. "I'm Jak. Captain of the Dragoons.. Pleasure to meet you... Are you ready if anything happens?" Jak was glad to be next to this man and so where the other men. They felt a little more at ease. Shurik himself followed Septur into the tent, staring at the men around him as he grins. His purple eyes locked onto the young king as he stood at a table he found within the tent, a map of incendia placed upon the table. Shurik stared at Sotaynru for a minute before he pulled out a chair and sat down, leaning back and placing his boots up on the table. "You have been rash in your actions, Sotaynru... Many people have died because of your little game..." He took in a deep breath and sighed before dropping his feet back to the ground. "But you have proved yourself a very worthy ally in general." He leaned against the counter and closed his eyes. "So, Sotaynru... I have a proposition for you. Sir... So we need to talk." He stood back up and smiled. "But for now, Recall your men and go home. Call us allies, but first, you must explain your cause for all of this. I would like to hear this." Shurik sat back once more, staring at the young boy. "Then we can talk about terms." Artemis gathered himself and his students as the Incendians charged their way in. It only lasted a few moments as Sotaynru's troops surrendered. With a small sigh, he whistled shrilly to his pet. After a few moments, it crawled its way down towards him as he told his students to watch over her and make sure she was alright. Taking a deep breath, he made his way towards where he last saw Sotaynru. Stepping out of the cave's he saw that Sotaynru was talking with what seemed like the General of the Incendians. " Sotaynru what is this?" He glanced at the one talking to Sotaynru and then another one who was their as well.
" You are giving up this easily?" A sigh left Artemis's lips before he shook his head " Why did i even bother..." He looked up for a moment before glancing at the two men " Forgive my manners, I am Artemis. A teacher of Sotaynru's" Looking at them both, he would bow slightly towards them " It seems that the field of honor belongs to the both of you and your clan" He would stand their for a moment as he gazed at the man called Shurik as he spoke. With a slight nod of his head, he looked gain at Sotaynru " I would like to hear your reason as well. I am pleased that you allowed me to have a little fun but in all honesty, why attack them?" "I dont want to stand here" Whispered Ignis between clenched teeth. His vigor all but gone after being stopped mid-battle "I want to leave... this place reeks of his stench, his death odor, and I will not stand here to watch him live" Ignis was growling as he began to walk away; continuing along the wall which he was originally following, in the direction his recent enemy had come from. He could feel the death hanging thick in the air; his dragon-like heart beating more rapidly as it grew steadily closer, as he left the others to discuss what they must, and the men whom followed to simply stand there with their indignant stares neither effecting or bothering him. He had no time for civility, and would never again allow an enemy to simply be freed of his attacks. Not even if it meant dealing with a friend, and treating him as a foe. Stepping past the guards; their eyes either upon him or their obvious commander, Ignis let his rage build once more, and his dormant flame roar back to life. His veins filled with an insistent rage, as he left them behind, and moved along to seek further challenges. For he had never truly left the dragons keep; its ways his own, and his truest intention in the lands he found, was to find one worthy of striking him down, or one worthy of being struck down. Without noticing the other man whom had so recently appeared; hands clenched into fists, he simply left from the direction he came, and sought combat and conflict elsewhere. For that goal; for that need and urge he traveled forth; skirting the large wall, and slowly coming into view of the events unfolding around it. He could see sand rising and falling; flames painting the sky and earth alike: dragons high above roared and screeched, as men of different armor and size bore down upon each other. He saw spectacles of sand; debris and dust rising and falling with controlled perfection, as well as torrents of fire rippling over everything in its path... "Now this" He thought "Is more like it"
Giving rise to a violent roar; his mouth opening to reveal his jagged fangs, and exposing himself to the enemy position, Ignis threw out his arms and once more produced two dazzling flames. Each small flicker of flame danced along his gauntleted hands; growing in size as he began to run full on towards the sand and dust rising and falling. His eyes picked out each and every hidden sand-caster; their clothing matching the breathing dust clowd, as he spun the small flames, into a twisting orb of sinister blue fire. It leeched the air from before his body as it grew; seeming hungry for more, as he released it, and as his first assault broke free from his hands, he was surrounded by the very sand he so easily walked upon. His initial attack went unheard through the torrent of sand; immolating three men instantly, and turning yet more into burning carcasses on the ground, before it burst and was left to fade away, and before the sand near him could be formed into a more destructive tool, Ignis was once again prepared. His body spun around three hundred and sixty degrees; both arms outward and both feet spread, as the wind spun with him, and the dust was sent backwards. Before it could recollect; ignition gauntlets bursting to life with yet another set of small flames, Ignis had spun himself into another whirlpool of dazzling blue and green power. The flames blasted back the sand with ease; turning dust into ash, and removing any moisture from the air, as he walked through the very center of the onslaught, and began to send small flames outward towards enemies he could see. Many fell silently; some others screamed in agony, but anything that was within range, was lost to the blue flames leaping from around Ignis' body and hands. He spun away from hurled spheres of earth; blew apart walls as they were formed, and slowly decimated the falling particles of earth. The skys seemed to clear; visibility returning around his blazing body, as Ignis produced more and more heat. He was draining himself for sure; exhausting his energy at quite a rapid rate, but still he pressed on and fought without delay. Within what would be minutes; his heart racing; adrenaline flowing, Ignis had destroyed an entire force of attacking men. Their bodies turned to ash, as the sand they fought with was as well, and upon the breach of the citys wall, he made one final attempt to clear the area. He pulled upon all he could; gathering all the flames nearby; his own blue flames seeming to turn them into an animalistic beast, as the earth underfoot began to boil and roll. He produced such heat as to ignite the very sands below and around him; turning the very essence of the enemies into his own, as a large sea of magma was born. Before it could cool; his energy nearly depleted, Ignis spun the last of his flames around his body; down into the molten sea, and brought upward the entire liquid inferno. It rose into the air before him; twisting and spinning, before collecting into one massive sphere, and slowly burning at the air. With a push of incredible energy; more so his own will power than the actual flames within him, Ignis released the sphere, split it apart, and hurled thousands upon thousands of molten beads out into the land before him. They would ignite any fabric, pass through flesh with ease, and if they missed their targets: though nearly impossible with the sheer number of projectiles, they would simply return to what they were over time, and create small heat sources for other fire manipulators. With a sigh of relief, he rested himself against the wall of Incendia Calx. His feet wary from his walk, though he felt good. He didn't mind walking; It kept him in shape in case he needed to run. He would admit to running, though he hardly would need to in any case. He felt the heat from the volcano, and sighed as he wiped sweat from his brow. A few people glanced at him; Some knew him, if not from rumors, and others didn't. He didn't care. He pulled himself up and looked at the guardsmen at the gate. Before they could question, Ichi stared at each one with a fierce look that stopped them in their tracks and nothing but wordless breaths formed from their mouths. "I am Ichi Zellcai Wolfgang; Leader of Hayvn. If you doubt my claim then speak, if not, let me pass; I will uphold the laws of your land, and so long as I am under the roof of Incendia, I will remain a guest until I leave." By now, his face was a smile as he spoke to each of the two guardsmen. He didn't need to make quite a show of who he was, but he figured it would keep them from getting to suspicious. Which he understood, since Septur had declared war on Incendia. He sighed. As he looked around, he noticed a man, resting, against the wall. He yelled a greeting at the man, not knowing his name. Ichi stopped a few paces infront of him, then took a place a few paces away from the man against the wall. "You look a little tired. Exhausted, I could say." He stared up at the sky, then held out a hand towards the man. "Let me get a look at you, now." He said as he braced himself for the mans weight, if the man decided to take Ichi's hand. Ichi was calm as he spoke, as if the two were old friends. The man was rough looking, drained. Exhausted. The war has taken its toll, he thought wryly as he stared down at the man. There was something about him that was... different from other Incendian's. Ichi was different from other Hayvn's, this he was sure of, mainly because his presence that seemed to fill the largest of spaces, and because of how he carried himself; How he was around people; How he talked; How he moved around; How he looked. He shook his head from those thoughts, ignored the curious glances towards him from passersby, and awaited a response from the man in question. "Death... death.. death" Ignis scowled and shook his head. He hated unneeded violence; the dragons never fighting over meaningless things: belongings, petty differences, and yet there he sat; against the large incendian wall, head barely above his chest, completely exhausted from diving into what he thought to be pointless. His eyes would barely open; the lids heavy with weight, as a man approached and leaned against the same wall. Ignis truly hoped the man was friendly; the power to fight back nearly vacant from the recent attack on the septur frontlines, and even before he could turn his head to see the man, words greeted his concealed ears. The voice was friendly enough; the distance between them indicating no threat or danger, but Ignis couldnt be sure. Not when he truly had no clue as to who was or wasnt a friend or foe. With the dragons it was easy; they were all foes, no matter whether they attacked you or not. For with the flip of a switch; a mere accident near one, and it would attack without warning.. Ignis was worried that was how the whole world was.. worried his words would invoke violent actions or thoughts in this man near him... But he had no real choice; he needed to move, get away from the front lines, and he had no energy to do so by himself. Pensively; barely able to move his armored arm, Ignis sat the base of his palm in the mans grip and closed his eyes. His joints ached, his head throbbed, his mind was racing, and he could barely resist the urge to simply curl up and sleep. Cautiously he pressed against the wall; trying with all his might to rise to his feet before the man, and not seem so weak, but with all his energy gone from him, he only succeeded in slipping back down to the solid ground, and falling to one side. With a silent effort, Ichi gripped the armored hand beneath his own callaused, bare hands, and managed a support out of the wind that swept across the land; Using his spirit energy, he reinforced the wind to be a more solid structure to hold the mans weight. "Now, lets see here..." Before to long, Ichi's eyes were glazed over, and a spark was sent across his body at a constant thrum; He imagined the man, Ignis, would feel it. "I am Ichi Wolfgang. Now quit moving." The voice grew stern, and held the authority of a man in high ranking. Without hardly any effort, the spirit energy Ichi had gathered slid over the mans body, which was a gold aura as it engulfed the man; Around Ichi, it was red; were their hands were joined, it was white. Eventually, the man Ignis would feel rejuvenated, refreshed; reborn, one would say. Ichi breathed out as he wavered a little in his place, as he released the hand of Ignis. "Well, there you go. Now, you can move all you want." Now, Ichi rested against the wall, breathing deeply. He turned his head around the wall, and stared at the destruction."Damn. The war is progressing." He chuckled. "I guess that was all you, huh?" He stared at the ground and shook his head. So, being in Incendia has proved to be something of much interest. Septur has moved faster than what Ichi expected. He kinda wondered of Sotayrnu was here... He pushed the thought aside and looked at the man. Ignis seemed to be on guard. Ichi smiled faintly. Of course he would be. After what he did, and why he did it. Who wouldn't be? Ichi let out another tired breath. The man had exhausted himself alot, and Ichi was glad his stamina was at its peek, but it had drained alot out of him; from walking from Hayvn to Incendia, then restoring this man back to his health. Ichi sighed deeply once more. "You are in good health. But after what you did, anyone would have to be." He paused then added. "I don't think I could have survived that, survived without taking casualties..." He trailed off, noticing his rambling, then he laughed. "Man, I need to get out more.." Another chuckle escaped his throat. "Out more?" Ignis couldnt leave it alone; the comment returning to his thoughts as he looked at the man and spoke. "What do you mean... out more?" His words were once more forced; concentrating best as he could on remembering how to speak in the tongue of civilized people, as he looked at the man with a blank stare and waited. He didnt know if the man was listening; hadnt paid much attention to the other things he said, and even as he began to rise up the wall and stand, he felt an odd sense of interest. As if the man was something to think about and possibly talk to: Rather than simply kill or attack. "I do not... know who you are.... your name... not familiar... where do you come from?" Ignis tried as best he could; proper etiquette seemingly gone from his memory, as he stood upright against the wall, and tried his very best to communicate in some way outside of violence. Though he truly didnt have much to say; he had a lot to learn and ask about. He blinked at the man. Then nodded at a thought. "I see you haven't been around... people alot. Perhaps I can help with that as well..." Ichi frowned as he thought about how he would do it. "Forgive me, I haven't done this before, and it is a lost ability in Hayvn." He waited so the man could take it all in. "I have been wanting to try this out on someone, but I needed a good reason. Now, this will only work between the two of us; No one else will know of it unless I, or you, tell them. And even then, it will be hard to believe." He shook his head."Sorry. Rambling. Anyway, since you have a hard time speaking, for whatever reason, I can establish a link of a sort that will allow you -I- us to communicate without words. To speak through our minds." He let that sink in. "Now, would you be willing to allow me to do this?" He asked quietly. Now, he focused on the man's own questions he had asked. "I am from Hayvn, and am the leader of it. What I mean by getting out, is by exploring Daratan more than what I have already." He hoped this would answer Ignis's questions and curiousity. Ichi meant not to harm the man, nor to harm anyone upon his travels here. Unless he was goaded into fighting. Not that Ichi wasn't capable of harming another, he thought it was senseless. "I think this war is a little senseless. It is useless to try and beat another at a test of power. If that is the case, then make sure you are prepared for all possible outcomes." He sighed at Sotayrnu's foolishness. That boy knows better. Ichi could tihnk of lectures he would give the boy. He shook his head."Sometimes..." He trailed off, realizing what he had been about to do; to say. "I've been away" Said Ignis; understating the facts of his life by an entire lifetime of so called 'awayness'. "I havent been... home.. in many years" He sighed at the thought; once more witnessing his father pass before his eyes, as the man continued on with his conversation. "Havyn" He thought to himself; he had heard that word once before; back when he was young, but he could not place or remember where from, or even who had said it, as the man spoke of his home in another part of the world. 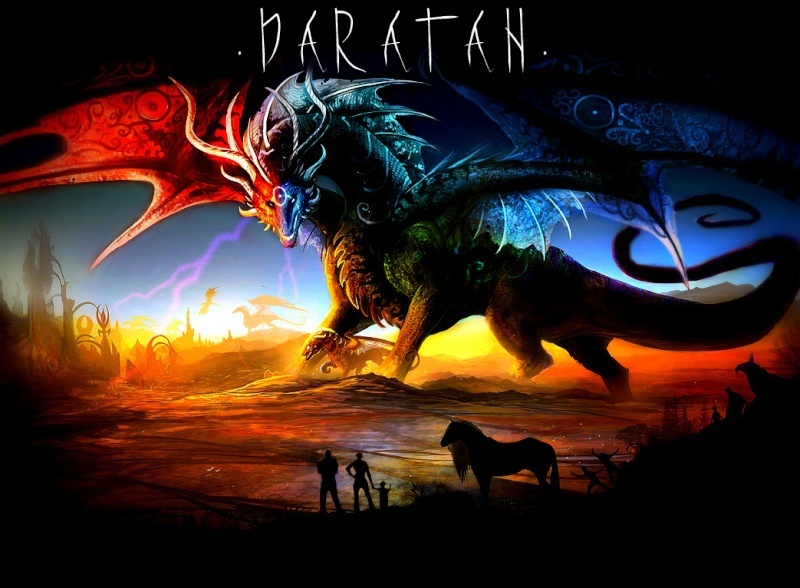 For Ignis wasnt so dumb as to not know Daratan was their planet, and that there were other places outside of Incendia, but he was far removed from the goings ons and had never been told of the other places, or the people therein. So meeting this man; friendly and generous, from another place of a great distance away, gave Ignis some hope as to his possible journeys in the future. With a small breath, he nodded. "Being away from home is difficult. Sometimes, though, it isn't. Most of the time, people leave home for a reason." He gave the man a sidelong glance before nodding once more. The only down side to being connected in that prospect was that the mind was stripped bare, unless one was strong enough to place walls in his mind. "I warn you, there is a drawback: The mind is stripped bare. But if you have a strong mind, you can place walls within you mind. But I won't search through your mind, that much, you can count on." His voice was distant as his eyes glazed back over and that spark thrummed in his body. "You will feel a slight tingling sensation, so don't be alarmed." Now, his voice was distant, as if it was miles and miles away and a whisper managed to make to your ears. Then the red, white, and gold aura rose came forward, then spread towards Ignis, engulfing him. Then the aura that surrounded the two became smaller, more focused, as it shrank to their heads, then there was a small dot of all three colors that remained placed upon their foreheads, then winked out. "That should be it." He didn't think he missed any steps in the process. Which was only a few seconds. Now that the two were connected in their minds, Ichi could use his power to enhance the man's own original; and vice versa. He sighed deeply. "You can test it out first." Mainly because it was necessary for the link to be completed. Ichi yawned. He was tired from his journey, but didn't want to be rude to this man. Though Ichi was sure he would understand, but in any case, Ichi didn't mind. It was who he was; He was constantly exhausted from the strain of being the leader of hayvn. Not that he didn't mind, but it still left him exhausted and drained to the point of collapsing. He sighed and ran his fingers through his hair, which the tie was coming undone in. He would have to fix that some time in the near future. With a smile Shinji followed Artemis the five "Kings" followed him clanking as they did so. "Mobile suits. "he said to himself knowing how loud they truly were but they always seemed to be fun to toy with. He himself was quite talented with weaponry as well seeing as in his past he had once led an army when he was still a child. No one quite understood this man but they would always underestimate him, as they stopped in the tent Shinji held up one finger four of the knights stopping and kneeling down simply resting there as the knight with the sword and shield continued to follow him. He walked in knowing if the guards stopped him or if any were to attempt to stop him they would be attacked by the "Kings" immediately as they were aggressively defensive over him. He smirked walking inside and then stood next to the young one speaking"Ah finally an end to this nonsense, i can get back to my....experiments." He used the term which he thought was most accurate what he was working on was considered sinister among men but to him it could make a powerful weapon. "The human essence is always an interesting tool. "He whispered to himself as he pulled his pipe from his robes using a tinderbox to get it lit. Once it was smoking nicely he inhaled the smoke within the pipe and held it in his lungs feeling a fit of euphoria. He looked towards the man that the young boy was talking to and smiled speaking happily"Oh I wonder, do you speak cuz of blood shed? Or because of fear?" He spoke this not knowing if this really was a peace meeting or just a simple conversation. He was often one to assume many things even if he was wrong he would continue on about them until someone told him different. The mobile suit beside him kept it's hand near it's sword able to draw it within seconds due to it's inhuman athleticism and reflexes it was the perfect bodyguard if things got "troublesome" he looked back at it and chuckled waving his hand"No it's quite alright my little friend. "He then looked back over to the two of them inhaling much more smoke as he now awaited to see what would be going on. sotaynru listened calmly to the mans proposition. his two commanders had abandoned the army front to come to his aid it was heart whelming but somethign burnt in his gut on their decision what it was he hardly knew. finally after peering around noticing the mans amazing creation and that only artemis appeared to be upset with the situation at this moment. otaynru sighed finally low2ering his head his quest was noble but it was not to be known not ot the enemy. finally his voice peeked out. " may the audience here today be the only to realize the great devestations reasoning and it go no further so help you all upon the name of the great dragon.." he waited for all of them to accept the oath as he continued. " my quest was simple yet hard. i intended only to end this mass segregation to combine our lands under just and fortible ruling. a lord that one maintain justice peace cou7ld some how be not just a temporary thing as it always had been. an everlasting peace for all in the lands of daratan. it may be hard to comprehend but with thehard reced record and need of a strong king in this nation i expect that they would have laughed upon a child who suggested this.. of course it wrong to assume i am certain i am correct leaders know nothing of politics which is honestly the irony of this all." sotaynru sighed now having a slight smile upon his face his glazed over blue eyes peering into shuriks. "there is much man does not understand but even little more man of power refuse to try to understand. to suggest such an end of segreagation laughter would be my aplause for my grand design the only whom would oppose this had to be taken out and thus incendia was the satrat of my grand plan with lack of true political prowess they proved me right instead of coming down to discuss matters they fell upon my trap they returned us with anger war.. i did not start this war.. your people did when they retaliated to a sixteen year old boy whom threw some gas filled barrels. part of being a leader is knowing what will cause the least sacrifice and what is necisary sacrifice." his eyes were angered now as he spoke his fist clenching.
" unjust in their retaliation they didnt pay mind nor matter to even coem down to speak as you have for negotiations they continued undersestimated the power of the enemy and their dragons have fallen. their morale dead for their own selfish patriotism. i knew i was on the right apth afte this. though i a mere child can see this adults cannot.. what is this blasphemy one says respect your elders well sir i refuse to respect anyone with the intellect of a god damned monkey. he cuaght hsi anger before it stirred too far out of control " i do appologize for my rashness. but i shall continue past this. after i were to destroy incendia the very fo9undation of it crumbled i would then have the incendians teach my people of the dragons. this a necisary advantage for hayvn if they did not come to terms with us.. they value their seclusion quite possibly more than even the foolsih prided incendians. but alas i digress. sotaynru continued explaining hoping artemis would finally understand his mad rush into this. shinji he knew would understand knowing the young boys mentality. it was of respect. " after i would have had incendia i soon after would havehad new rule that was politicaly in sync with the ideals they would not run upon rash angered actions and throw a clan to its own self proclaimed suicide. hayvn i belive would have turned to my idea had i enough time with council. and of course siram would have no issues. tenkuu has already suffered because the unjust disrespect to the dragon.. the dragon stirs when things are thrown off blanace. and with our segregations stopped ruled over by a single oligarchy peace would be iminent. all religions elements formed to one a grand daratan no clans. as that is but a foul word as well onlypeople fire users with water and with enough ahyvn power we couold surround this great nation. by the trees of hayvn protection hardly the dragon could wish to squander." sotaynru sighed after speaking lowering his head " the first step wqas test incendia see hwo they would react. and of course they failed to disapoint my expectations. the next was if they failed the test wipe their leadership to hell and influence them int he right direction. then converse with hayvn then siram. the rest would fall into play after that as who of minor communities could deny this grand ideal place?" he finally turned from the table waiting for some sort of response of his ramble. he murmered one last thing " dartan will fall as long as their remains one false rule among the world one to ruin the majority..."
Listening to the child’s words, listening intently as he processed what the young man was saying. When asked for the information to stay between the men in this tent, he gave a small nod to confirm. This Sotaynru was truly on another level, and he had proved it with the battle here today. Shurik was a soldier; he followed orders to a t and respected his commanders. All the men, women and children, all his soldiers, this entire war could have been avoided if these said commanders had just walked down here and talked to the boy before him. Was Shurik the only one who found the killing pointless? Was he the only superior who looked upon the bloodied bodies of his people and asked could this have been avoided before it went this far? The Sergent grew angry with his thoughts and sure enough, seeds where planted within him. The ideals of this man, placed in his garden of knowledge, to blossom soon enough. Shurik lowered his head, pulling a small Knife from its sheath and picking his nails with it idly. His entire persona alone told all around him that he would use the weapon for nothing more than personal hygiene. Artemis shook his head slightly in admaration at his young student. It seemed that the boy had finally found something worth fighting for. Not just for him though, for everyone. " I will have to agree Sotaynru about your quest for peace, but why not start out with someone less likely to go charging in to murder people." He gave a quick look to the other man " No offense ment" before looking back at him. Artemis found reason in the young mans mind, although he could see about 100 different ways on how the situation could of possibley been handeled, he did not voice this though. He thought for a few moments before moving to stand beside Sotaynru in case this Shurik fellow didnt react to kindly. He now noticed Shinji from the corner of his eye with his 'Kings'. " Welcome to the party Shinji." Artemis's eyes gave away his interest about the metal knights emensly. Artemis would think for a few moments before touching Sotaynru's shoulder as he leaned close to the young mans ear " You spoke true although it might be better to not insult someone who you are attacking next time. They may get angry and try to kill you. I am sure Shinji and Me wont like watching and i am deffinately sure we dont want to be responsible on getting the entire army back home if you are dead." His voice was soft enough to where only Sotaynru could hear it. Standing straight up, Artemis gazed at the other man from Incendia. How was this going to play out now? He was having fun being able to test a few theories out on the Incendian troops but they did their own extensive damage to Septurn Kana's forces as well. If this talk didnt turn out to well, it may get violent again and only fate could determine the winner. He thought more on this plan of Sotaynru's. If the men would of saw how their leader had to plead for Shurik to stop the other Incenedian, the men would disert after believeing that following a leader of no battle skills was a coward. Those that were loyal to Sotaynru would still stay, but that wouldnt be too many to complete the quest for a true peace. Thinking for a few moments, he looked around him slightly before a thought came to him about Sotaynru's battle skills. He would explain this idea to Sotaynru later but right now was this little parley deal they have. " Sotaynru, If You asked Shurik, i think that is your name if i am right, he might be willing to join your cause. He is not as narrow minded as a few of the Incendians we fought today. So far he is the brightest one i have met since he knows the values of a parley and was willing to have one instead of letting the other man simply kill you to end their threat"
He stopped though as he listened to Shurik speak about forming a sort of brother hood between Septur Kana. It appield to Artemis as he looked to Sotaynru " He does have a point. It would be benefical to your plan and to keep the peace" He leaned forward yet again to whisper into Sotaynru's ear " Plus it will give us to some in sight on how Incendia Clax works and if all else fails, we can use the knowledge we gain from them, although they will gather knowledge from us as well. If we become hostile agian, itll be a double bladed ax. Although he does speak the truth. We can use this brother hood and they could use it as well. Plus we will have an ally in the Incendian army with a rank that may soon grow to go up higher the hierarchy in their army." He would pull away from Sotaynru and look at Shurik " Your words are wise enough and i can see merits in it. But it is up to the pupil here" He placed a wrapped hand ontop of Sotaynru's head " To decide" He would never get tired of reminding Sotaynru he was a pupil or a student of his. sotaynru listened to the mans reply even the formal appology, a small smile caught his face. looking to the mans eyes he didnt know whether he was to belive it entirely but it was at this point a very sincere decision upon the mans mind he could tell that much a man knowns men and men lie its the man that can call the lie that is but man at all.he laughed thinking to himself a small chuckle " appreciate this captain shurik i truly do indeed" sotaynru offere3d hsi hand out to the man.. shaking hsi hand lightly sotaynru was weak atm the days exhaustian upon feeble youth. mental and physical along with the battle he had just encountered. " this brother hood you propose i would like to think upon it if you would and i shall be in contact. for now my men will leave your country.. but i wish for their to be rumor that we are returning this will cause your king to boost defenses and not follow an army back to their home lands. i warn you though any foolish enough to tread the sands of septur uninvited will find that scorpions are far less merciful than i. " he chuckled a bit a child smile playign upon his pale lips as he turned a bit to artemis. he spoke again " oh artemis id appreciate the proper respect when adressing me if you would. no just pupil my name is sotaynru forget the lordship i am your friend your ally and your FORMER pupil. adress me as you would a friend thank you" shinji had remianed silent thus far it was expected of the man his most mysterious of generals. " shurik i have matters to attend to i am very highly considering your brother hood though i would have you on days next waxing crescent coem to my lands with this." he handed shurik a sealed invitation the black wolf paw print upon it and his signature. your name is gaven you are a tradesmen and you have coem to strike trade kings request. answer nothing else that is asked as is your right. i will have your answer at this time.. oh and sir do not worry i swear upon the dragons name itself that their will be no ill will to you from thsi day forth.unless blade be raised by the gaced hand." he smiled lightly at this point pondering the thought of the dragon. he began to turn from the spot about to claim leave to make his way to his destination. " to answer your question before i leave.. the dragon will not turn to face us in its eyes even the dragoon warriors of its might will not be judged better than any rish not swine of this land even you must know that shurik " he honestly didnt mean to offend a person only to make his intentions clear he would have his answer by the time this man arrived upon this brother hood and the test had been set. would they follow or would they stay drop this for the time being. the playing fields were set once mroe a knight about ready to take the queen in a simple game of chess. he turned and exited the tent. Ignis was unsure; confused and worried; having heard the man speak of connecting their minds: allowing one to delve into anothers thoughts, memories, and inner workings, but before he could speak of his contempt for such things, it was over. A flush of energy wove its way into the fabric of his thoughts, and within a few seconds, he was connected. His mind flowed freely as it always had; the shining black dragon scales of his inner nature barricading the most secretive parts of his being, as he turned to the man responsible and gave a slight nod. He thought no words; focused on images alone, as he tried to regroup from the sudden pulse of energy that shook his frame ever so slightly. Whatever was to come from the connection, the bond between the two; being of good or evil nature Ignis did not know, was to come in time, for Ignis had other things to attend to, and wasnt about to waste time standing and talking. There were dead to find and burn; bodies to remove from the field of battle, and most interestingly, Ignis wished to find the Incendian commander and speak to him of possibly joining their military force. Though such a thing was hard for him to comprehend; military organization far from his specialty, he was still quite fascinated with the idea, and with a slight bow to the odd man whom had bound their minds together, Ignis gave but one simple set of unspoken words. "I thank you for this generous offer; asking only that you do not breach the walls I have in place, and with this done, I shall take my leave and hope to see you elsewhere. Ignis Dominio is not a forgetful man, and you shall be a friend before any others. Your generosity has truly been what I never knew in this world, and for such gracious steps to enlightening me, I thank you once more"
Shurik stared for a few moments, This Artemis character was quite the wise man, if he where to say so himself. Despite the whispering, he could hear key phrases as they spoke amongst themselves. His deep purple eyes never trailed away from the pair in front of him, ever watching of what they where going to do. Just a low rank warrior, coming down the hill to speak with a king, what was this? Shurik knew he was probably the most political, he preferred to solve problems before bloodshed, in some cases. As he heard the two answer him, he grinned. “The troops will know you are retreating, no one will follow you out. You have my word.” With that, he took the sealed envelope, a grin ever present on his face as he placed it within his armor to hide it from his men outside. Had he made a deal with evil? Only time would tell him if his choice was correct. Shurik walked past the rest of them shortly after Sotaynru had exited the tent, his words still ringing in his head. Shurik knew the eyes of the dragon watched all. The destruction of one nation in the name of the dragon was just as horrendous as any murder, but he knew better to question the interpretation of the old religion. Shurik walked back to the group of men and raised a brow for a second. “Where did Ignis go?” The men looked at him, staring from one to another. They had heard the screams, had heard the fiery call of the man from wherever he went, and didn’t want to risk the wrath of the new Incendian, let alone their commander. “He went off to be alone.” A solid answer, one that wouldn’t arouse suspicion. “I suppose he will find me like I asked… Pack up, we’re going home… The battle is over.” He wondered if the king would hold his promise that this event and spectacle had ended. Shurik didn’t worry about that, the envelope hidden beneath his breastplate was proof enough of the young kings intentions. And as they made their way through the crowds of men, back towards their home, Shurik’s ideals flowered, thoughts provoked in some form, and he somehow knew he had made the right decision. When they reached the Fromt gates, The men cheered and hollered to their leader, one who had bared the torch of the war when the others would not. He walked passed the calls and into the Market, staring at the collapsed wall, the one he had used to seal the gas within the hold of the city. “Jak.. Gather up the fire benders… We need to clear the City…” With the future meeting on his mind, they began to clean the city and restore it so things could once again be normal, for a short time. Would things be normal? The ground stained with the blood of battle could never be home to some again. Memories of loved ones trampled to death or slashed by a blade and bleeding could never be washed away. The blood could, but the thoughts and memories could not. Incendian’s where strong warriors, but how many of his men could bare the sights of their loved ones bodies, infected by the poisoned sands. Word quickly spread of Shurik’s talks. Many versions appeared among the soldiers, many more would be fabricated from lies, but for now, they called Shurik the Hero. A title he certainly was undeserving of if they knew the true deal he had made with the enemy. Ignis was slow; patient, cautious even in his movements. Cleansing the sands beyond Incendia of any remnants of war. Burning bodies of the fallen enemy; whispering only brief prayers to the great dragon, as he moved from one place to another, and continued to bring some form of calm back to the land. He piled bodies high upon the sands; burning them to ash and letting it drift outward upon the wind, as he allowed his thoughts to wax and wane. Circling the proverbial drain. Always centered around war; conflict and battle, as was the way of the dragon whom had raised him. Whom he learned from. Sykosi he had come to call the dragon of black and red. The ominous master whom had showed him the way of the living flame, and the way of the earthly fire. He didnt know if Ichi was still near the wall; never looking to check, but as he made way towards a large market, he could hear different orders being called out, and he spotted Shurik from the distance. The man was a commander of sorts; at least Ignis thought he was, commanding others and sending them about their business... He was exactly what Ignis was looking for.. someone in charge.. or at least with some pull..
After they had cleared the rubble of the collapsed tunnel, the cleaning began. Shurik was the head of the efforts as all hands where on deck. Every warrior had been pulled from the defense to clean the city and prepare. No one knew if Septur would attack again, only the man who stood in the center of the action, shouting orders, helping with tasks, and restoring the city so it was habitable once again. Shurik’s prowess for leadership now shined as he took command where the other generals refused. He walked the blood stained streets. He helped pull the dismembered bodies from the houses to give them a proper send off, and Shurik got his hands dirty. That alone won the men over to his favor. As the clean up continued, his men where still on edge, and when a shadow spoke out to their new hero, they instantly aimed their spears for the shaded area. Shurik quickly turned his head and stayed his men, recognizing the voice that had spoken to him to be one of friend. They men went back to their duties as he commanded them and then he looked upon the hidden figure of Ignis. Shurik gave him a nod and chuckled lightly. “Do not mind them. They are still on edge from the battle.” He stared around for a moment, noticing that they watched as they passed him, making sure no harm was to come. He stared at the man for a moment, the one who had just appeared and attacked the leader and king of the opposing army so willingly. He beckoned him from the shadows as he turned on his heel and began to walk, back towards the entrance to the caves. “Come, Ignis, Walk with me… And let’s talk.” He offered Ignis the first words, for it was he who sought out him. “Please.. Express what is on your mind.” He placed his arms behind his back, grabbing his left wrist as he walked along the path. Ignis paid no mind to the armed guards who aimed spears at him; knowing his ability to manipulate fire would consume them before their blade so much as breached his armor, but before their defensive stances became ones of attack, their leader spoke, and they returned to their business. Ignis watched Shurik from the shadow of the broken buildings wall; his eyes catching the slightest of changes in stance and movement, as he began to he himself move. He had wished to speak to Shurik directly; knowing not of any other lords, generals, commanders, or the Incendian King, and with that very thought weighing upon him, he took a slow breathe, and stepped forth from the darkness. "On edge... They are welcomed in the home of nervousness... This battle has been..." Ignis fought to be civil; stepping closer to Shurik as he thought for the proper word to use... "Bloody... I have never seen so much death... but... death does not bother me" Ignis turned his head to watch men carrying bodies off into unknown locations; no doubt to prepare them, and send them off properly, before he continued as he was saying.. "Its not battle that bothers me..... its the pointless battles.... or... " Sighing out loud; shaking his head as if berating himself, Ignis fought to find the right words... "Or.... the point of the battles... are what im interested in" Finding the right words gave Ignis a refreshed look; as if so deep in thought he was slowly folding into his own corroded brain... and the words were right.. near as Ignis could tell. He loved fighting, battle, and war... but not for the cause of petty differences, or misunderstandings... no.. those things angered him, and made him wish death upon those who insisted and persisted with such things. Ignis didnt know what Shurik would propose; having recently witnessed the man save an enemy from Ignis' very own ravenous attack, but he was sure the man was of some noble agenda. Some pure intent.. some.. He didnt care if the man hated him; his honest opinion upon his likelihood to find a challenger or a battle all Ignis cared about in truth, and even before Shurik could begin to speak in return. Hopefully telling Ignis of what he could or should do, Ignis was lost in thought. Placing himself back in the recent battle; watching through memory's eyes, as the man who fought him manipulated the earth and forced it towards him. He remembered the feeling of cutting through it, slowing it, burning it, of changing it and controlling it.. He remembered the feeling of being there; at the point of victory, and being stopped... at that moment.. Ignis wondered silently.. "Why would he stop me... what would make him not allow me to finish our common enemy?" Waiting and watching. Patient observation, calculation, understanding. 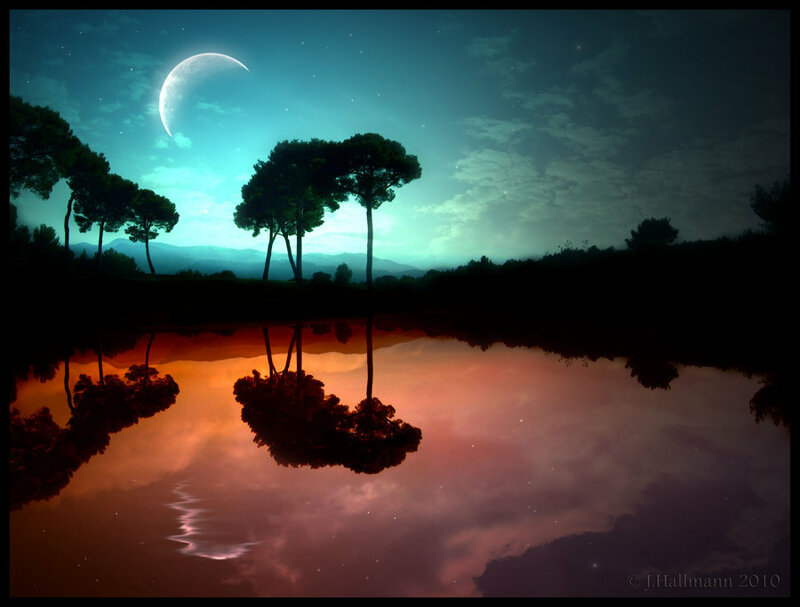 Stillness, silence, virtues kept with patient glares and unnoticed sighs. Present in the lands of Incendia Calx; perched at the crest of a large mountain edge, Osirin watched and waited. He patiently observed the war efforts on both sides of the field; noticing every twist and turn of power. He witnessed beings of sand rise and fall; creations of earth walking and marching as if alive, and he witnessed the spectacle of beastly essence. He saw dragons of varied sizes; rode by men of different stature, and he saw yet other beasts being brought about and used. He watched silently from his little outpost atop the mountainous crest; always silent, as the men and women of Septur and Incendia fought valiantly for no real reason. He witnessed generals and commanders; issuing orders and sending troops outward: He saw two kings of wildly different appearance, one being Incendian; riding a dragon above the field of battle, and another being the young Septur king. He watched the goings ons for the duration of the fighting, the duration of the war, as everything grew more and more chaotic. He witnessed a sea of flames drown and burn Septur soldiers; a poisonous gas expanding into the air and killing Incendians, and even after the main assault had failed to push farther into Incendia, he witnessed death and bloodshed. He saw the young king leave; seemingly with his head held high: Though Osirin knew not why he would be proud of what he had done, and then he witnessed that same king saved by an Incendian. He witnessed as a commander stalled the attack of an obviously angry Incendian warrior, and yet. He did nothing, moved not an inch, used not an ounce of his power. He witnessed the convoy of sorts; men, soldiers, and the king with commander in tow, leave the area and head elsewhere. Possibly to speak of peace; perhaps to speak of war, but to speak nonetheless. He spied the warrior of fire as he decimated countless Septur men; his anger expanding like the flames of hell, as the war effort was stalled, and suddenly ground to a halt. Septur soldiers were backing away; Incendian men pulling back into the walls and traveling farther into the city, and still he remained. Watching and waiting. He waited a few more hours; noticing a small sand storm moving away from the Incendian home, before he decided it was time to act. His elderly form rose without complaint, the slope of the mountain seeming to be a perfect angle, as his eyes were once more coated in a thin layer of sand, and he began his leave. He dropped from his perch; onto what was in appearance, a mere rock, but as he landed on the large obsidian rock, its upper half split off clean, and it began to slide down the side of the mountain. He rode the board down with incredible speed; moving as the wind would around the mountain, moving as the rocks would down the mountain, and within seconds, he reached the bottom. The rock slammed into the earth with a jarring impact; its bottom dipping into the softer soil, as the sand manipulator atop it passed straight into the solid surface of the rock, and stepped out without so much as a scratch. He pulled himself away from the obsidian tool, and began to walk towards the cloud of sand. For it wasnt a storm, it was a procession of men; the king of Septur one of them, and he was quite interested in the possibility of speaking with him. Concealing himself within a small cloud of dust and dirt; allowing it to appear but a small earth cyclone, he walked with unnatural speed, and began to catch the group. They werent traveling very fast; most of the soldiers simply walking around where their king, and his generals were. A simple tent of fabric and earthen tone, and as he arrived at the tents edge, he dropped the visage of an elemental twister, and stood outside the tents entrance flap. Soldiers surrounded him; men aiming blade and staff at him, as he stood there patiently. Waiting and watching once more. His eyes closed, his hands resting along the inside of his cloak, and his sword concealed from view. As was true in most situations; the patient man is the practiced man. He would wait til one addressed him; til one spoke of him to another, or until the king came to see what his men spoke of. He was not foe, not a friend, a mere observer of sorts.. and he had much to discuss with his prospective kin lord. sotaynru was tired very tired indeed and this new news of a traveller comeing this close this fast oen of which was old it worried him. though he got from his tent and approached with haste he didnt care what was the matter there was no reason for such rash decision " are we incendians?" he blurted in an angry burst. " are we angered brutes whom hold blades to an obvious elders throat and think to dirve them through?" the men said nothing only backed up from the man now as he walked forward to greet the man this was one of the first time anyone would see the boy openly wihtout private council. his long red hair coated in debris in dirt and sad mud even from hsi prior battle. he truly was in need of a shower of some sort of bathing to be clean to see ali in this fashion would prove sickening. he sighed slightly now makign his blue eyes scan the elder over " welcome elder i appologize for rash decision of my troops they are still on edge" he let himself show a simple smile beyond the pain and worn face. " what brings you my way elder do you seek refuge?" he knew not what this mans intent was but it was apprent by garb he was of their lands. he concealed blade which made him suspicious of course but who was sotaynru to judge when as he stood there with hands held behind back he held his own wicked dagger. The man before him may have been from the wilds, but he was a knowledgeable person. The conversion of though into words was apparently a foreign form of communication for Ignis, but he conveyed them well enough to be understandable. Shurik saw great honor in this man, and knew he would be a very valuable asset in pursuing his own agenda. His eyes scanned over the mighty warrior and he knew for a fact that this was a one time shot. The man before him was not afraid of war, of blood, of any part of war. That would make him a perfect ally for himself in the brotherhood he wished to form. Ignis was also very versed in the ways of fire. He had mentioned a dragon, and he knew that this man was trained by the dragons themselves. "Ignis. The reason this war started is not a major concern, but..." As they moved out of earshot of his men he began to elaborate upon the reasoning. "Ignis, I do not want the other men to know about this, but because I am placing some trust in you because... I need you to be on my side of this." His deep eyes stared to the man as he stopped somewhere were the cleaning at stopped and the men had moved on. "Because he is a child and wanted to test himself against a mighty nation." He knew it was wrong to lie to someone, but he had sworn an oath in the tent to keep the true intentions secret. Ignis would know soon enough. For now, he looked and Ignis and began to discuss the idea of him fighting and being trained. "Ignis, I can train you in what I know, but I fear I may be able to learn more from you, than you from I." He stared off into the end of the tunnel, his mind flowing from his plans to the plans already in play. "I am going to ask you... To join a special team of soldiers under the Dragoon division." He turned to the man, grinned, all four fangs bared as the grin spread across his face. "A type of... 'Black ops' You will operate under me, secretly, and I will give you full permission to use all of your powers on these missions." Once again he faced out towards the entrance to the cave. "I will be listing more soldiers in your ranks. But you will be equals until one proves better than the other." Shurik began walking back towards his men, a smirk on his face as he turned his head to look back at Ignis. "I will give you some time to think... But please, do not keep me waiting." Shurik continued his walk, his eyes and head held high as he continued along his path. Without thinking, he turned back around, looked at Ignis and smiles. "And if your curious on why I stopped you... I needed to talk to him. I formed a bond between us." He grinned. " I know you haven't heard this saying... I don't think. But Keep your friends close and keep your enemies closer." His eyes seemed to flare when he said this, his mind drifting back to the conversation he and sotay had had before he came back. The invitation in his breastplate felt like Ice against his skin. He began his walk and chuckled as he called back. "Besides, Ignis. He's just a kid. Give him some time to become a real challenger, okay?" He knew Ignis would find some humor in that statement, but for now, he walked away, back to the cleaning of the city. It was going to be a long night for him. The man decided to play it up a bit; act as though his age truly was a factor, when the king approached and shooed his men away. He leaned forward a bit; his eyes meeting the mans feet in a jagged glare, as the young king began to speak. Osirin listened; picked apart the tone, the words, listening to the mans breathing, his exhaustion apparent, and without needing to truly understand the man to the fullest, he knew enough. He was young; ill informed in the ways of the world, and it had become apparent during battle, that he was in dire need of a mentor. But... that was but a thought for the future, and did not matter at the time. So, with eyes rising slowly; head barely seeming to move, Osirin greeted the kings smile with his own wavering one and he began to speak. "Thank you m'lord, I have traveled far, seen much, and have turned up here for but one reason." Osirin let his voice carry the weight of his age; turning the very sound of grating sand into his tone, as he stared the young king down. "I am here because of this war... this heated battle that is so unimportant. This is not a contest you can win; this battle is not one for victory, this life you lead is not one to be lead anymore." The tone carried with it an insistent anger; one buried beneath the rock of the mans heart, and as he continued, Osirin let it be known that he was not shy or afraid. "You have attacked people with no provocation. You have fled a fight with no reasonable or acceptable terms met beforehand. You have shed blood that of which was your kind, and theirs. You my dear young king.. have truly ruined the name of Septur kind. You may keep your secret agenda, your secretive plans, your plots and ideas to yourself... For I will see them soon enough; hear them on the wind, and feel them enacted through the earth... You can keep your mad ramblings of prophecies; of the unity of people...Yes.. i have heard such things in my travels.. and i tell you now.. you must hear me as i truly speak... You must listen" Osirin was fuming; the sand at his feet seeming to writhe and growl as if alive, as he continued to berate the king without a care for the consequences. "No man is free from his actions.. not even a king... and What i have seen is irreparable... damage done to home, to the throne, to the land, to your kind and theirs. To families, to friends, to enemies, and to no one alike... You have chosen to strike at the heart of another.. in order to be accepted into it?" Osirin shook his head to the idea, continuing without letting the king interject. "That is not how the world works my young king... not at all... All you have done is cause more separation, more segregation, more hatred between your people and theirs... I say your people because they are not mine.. So long as you bear the crown, and use them as pawns in your games.. they are no people at all..." Osirin was heated now; his eyes had lost the white sheen of the sand overlapping them, and slowly he was beginning to shake. "You have done nothing for the benefit of your land or theirs.. and in the end... what you have sewn here.. shall be rewarded with much more destruction... For the dragon does not give lightly its blood.. not even for those who claim leadership over its flock..."